At the Butte County Library in Chico, California, there is a seed section. This is the Chico Seed Lending Library (CSLL), a collection of seeds donated from gardens and farms around the region. At CSLL, advanced and burgeoning gardeners can borrow the means to grow everything from muskmelon to sweet peppers, and learn the traditional art of seed-saving in order to return seeds to the library for other growers. The library was started after seed-savers Sherri Scott and Stephanie Ladwig-Cooper started to see big crowds at their annual Seed Swap event — and more of their neighbors growing their own food. At Seed Swap events, gardeners bring and exchange seeds saved from that year’s growing season, and over the years, attendance at the Chico Seed Swap exploded, Scott says at TEDxChicoSalon. “Each year, we [saw] more and more people bringing seeds that they saved back to share with their neighbors,” she says. “But we wanted greater access to seeds for the community and we wanted more education on how to correctly save seeds.” So Scott and Ladwig-Cooper reached out to their local library to seek if they could set up a year-round resource for seed-savers — and a permanent seed collection open to the public. The librarian there was excited — so they launched CSLL. The seed library is designed to preserve the best of local seeds, Scott says, those from plants that are the “tastiest,” “best-growing” and “resilient,” — those that thrive in the Chico ecosystem, Scott says. She hopes that it will also aid in protecting rare plants, the fruits and vegetables that don’t show up on supermarket shelves. One of these plants is the Bidwell Casaba melon, a melon closely connected to Chico’s history, as it was developed by Chico resident and Califorina congressman John Bidwell in the early 19th century. To find out more about seed libraries, watch Scott’s TEDx talk. 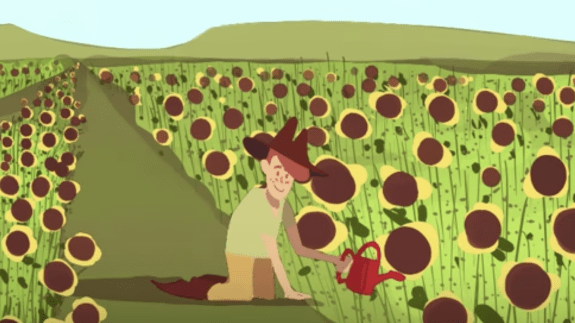 To find out more about seed science, watch this TED-Ed Lesson. Art credit: TED-Ed. Author bio: Hailey Reissman writes for TEDx Innovations Blog.